In life, you are faced with setbacks, milestones, and challenges. How you respond to them determines your success. 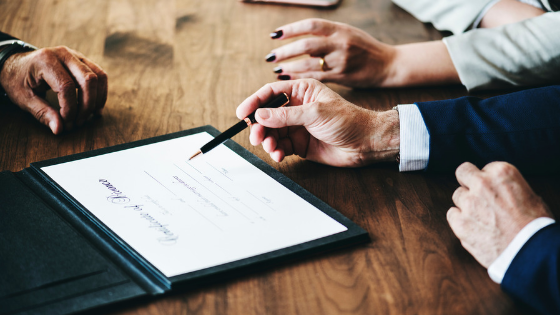 You need to consult with a legal professional when you deal with real estate issues, going through divorce, accident cases, or starting a business. Without seeking legal advice, you may end up making decisions that may cost you a lot. Lawyers can be a little expensive but they can help to save money. Below are some of the benefits of seeking legal advice. A legal professional will help you to understand various laws and regulations. This means that you will be getting professional help in all your undertakings. As a result, you will make well-informed decisions. Understanding your legal rights is essential in running businesses and your overall lifestyle. When you seek guidance from a professional, there is no doubt that you will get the best outcome. The outcome may be from an ongoing trial, business deal, or getting desirable results. Without legal advice, you will make mistakes and poor decisions that may be costly. Additionally, the quality of your life may be jeopardized by poor decisions. With proper support, you will be able to take advantage of situation to benefit fully. Facing legal issues can be exhausting and frustrating. If you rely on your knowledge, you may give up or make wrong moves. Legal implications may also be difficult for you. You don’t want such situations to drain you emotionally. Seeking legal advice will direct you in the right direction. Despite the difficulty of a journey, legal advice will always make a positive difference in your life. Most people believe that hiring a lawyer is super costly. This is a myth that you should avoid. Without such a lawyer, you may end up losing money in forms of penalties, fines, and settlements. A lawyer will help you to avoid such unnecessary costs. Need legal advice in Saudi Arabia.